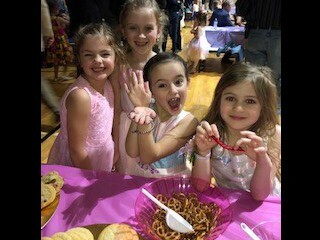 March 23 - PTO Stonegate Spring Fling 3:00-7:00pm- Fun for the whole family! 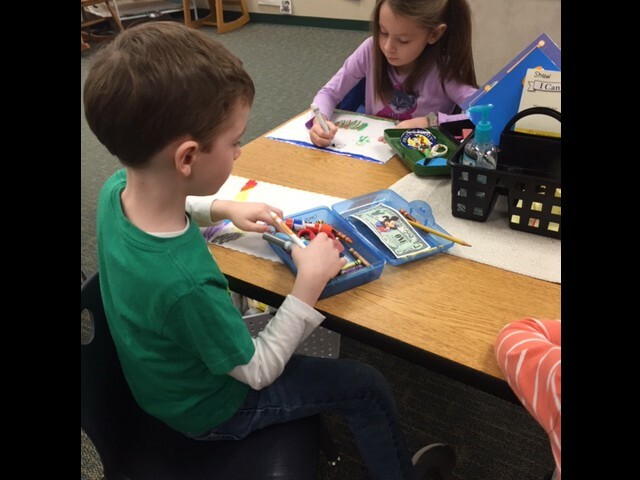 Our students continue to learn about how to be Strong in Every Way! 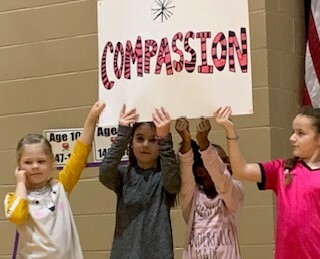 Compassion is a trait we often teach our students and find ways to practice it among our school community. One way to promote compassion is by giving back to the community! 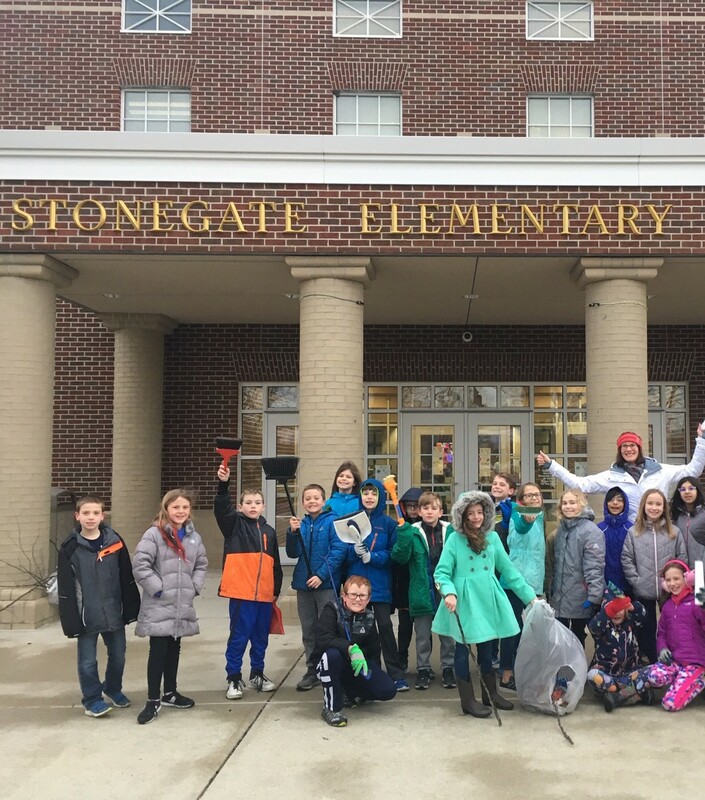 Our Stonegate students and staff participated in the first annual ZCS “Do” Day! The intention of "Do" Day is to encourage service/volunteer opportunities for our students, and members of our community. 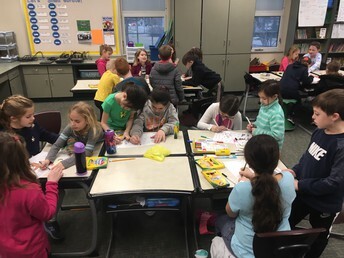 We had a variety of students make cards for our local police departments and Zionsville Meadows, clean up the playground, pick up debris around our campus, decorate placemats for Boone County Senior Services luncheons, spread words of encouragement among classrooms, or collect items for the Caring Center. The SGE staff collected items for the Caring Center. 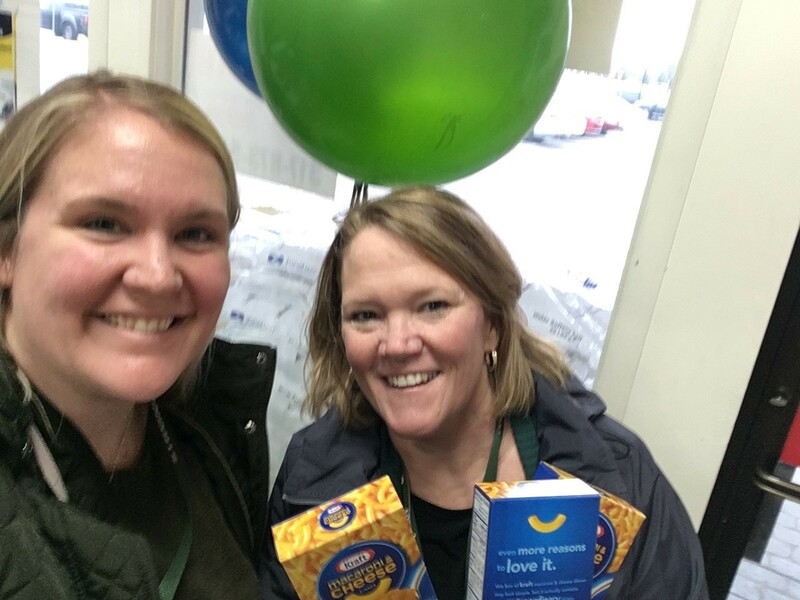 Mrs. Farley and I dropped the SGE donations off at Akards Hardware store which is a Caring Center donation location all year long. You can never be too young or too old to make an impact! A Monday Convocation with a VERY Special Surprise! 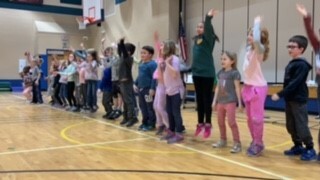 On Monday, March 4, SGE participated in our first Strong in Every Way Convocation. It was student led and focused on the 5 traits of SIEW- Compassion, Ethics, Determination, Wellness and Confidence. Students taught and showed examples of each trait. The convocation concluded with a local business showing real life COMPASSION. 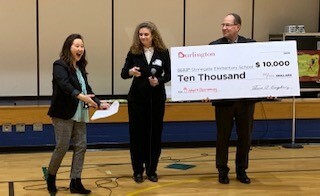 SGE would like to thank Burlington Coat Factory, in partnership with Adopt a Classroom, for donating $10,000 to our school! 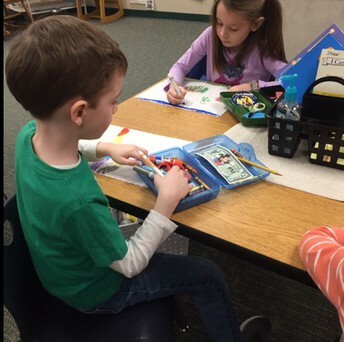 The money will be divided equally among our teachers so they can purchase supplies for their classrooms. This was a huge surprise and so exciting for our entire school! 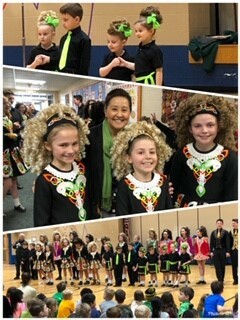 Irish Dancers Visit SGE!-What a Special Treat! 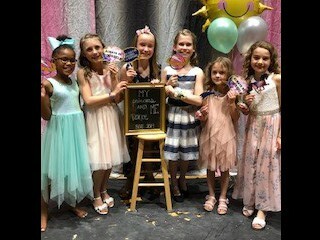 Princess and Me 2019-Beautiful and FUN!!! Our first state testing is arriving soon! 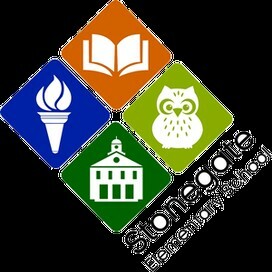 IREAD-3 (3rd graders only) will be testing on Tuesday 3/19 and Wednesday 3/20. 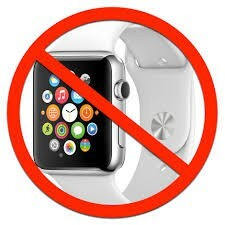 State guidelines mandate that all staff and students must not have access to smartphones, smartwatches, tablets during testing times. 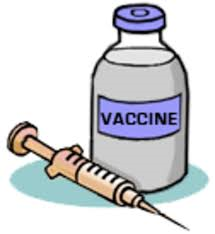 We must be void of any electronic device that could audio or video record and/or take photos. We highly recommend on these two dates + during future ILEARN testing dates that students do not wear or bring their smartwatches and/or smartphones/tablets. However, if these items are worn or brought to school, we will ask students to remove these items and place them in a secure location. We will also ensure they are placed in a way that we can identify which electronics belong to which students. Thank you! Since January our art room has been a printing factory. Students started using new printmaking tools by using brayers (rollers) to put paint on paper evenly to create a reductive piece of scratch art. This gave them a chance to see what over inking looks like. Over inking, is when your brayer has way to much paint on it. 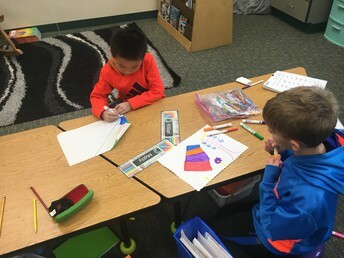 After practicing, everyone in 1st through 4th grade got down to business creating prints of famous monuments, specialty animals, or pop heroes. As students progressed in their printing skills they started to add layers of color, and background designs. They used the reduction printing process where the artist removes areas from their block each time they print with another color. This allows the old color to show through. Students created multiple editions of prints and labeled them correctly. 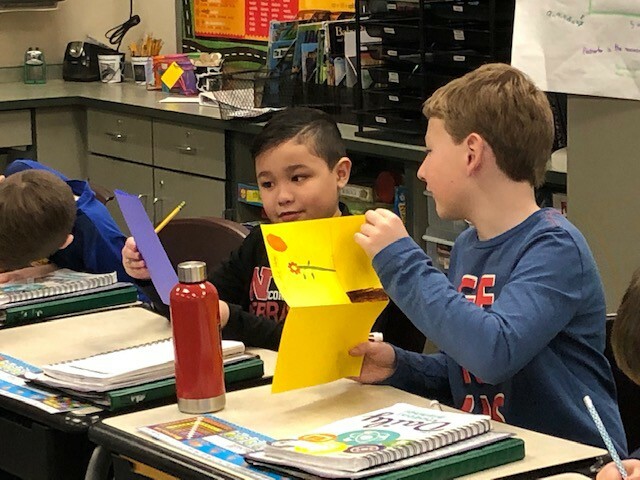 After they had looked at what they created they had a chance to build their own art collection by trading with their classmates. Trading was so much fun. 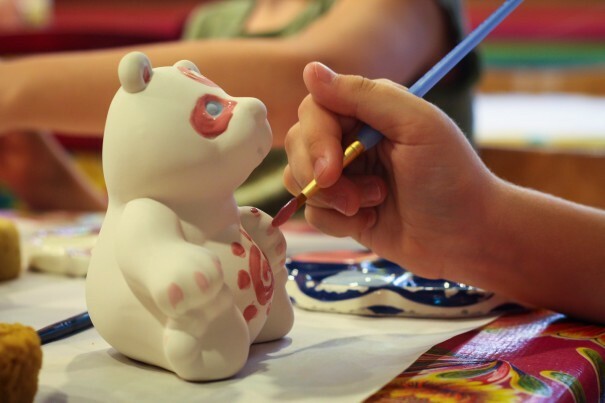 It gave students a chance to think about what art they wanted and why they wanted it. They also had to evaluate their prints and think about what ones would be good for trading. Hopefully all the prints made it home safely. 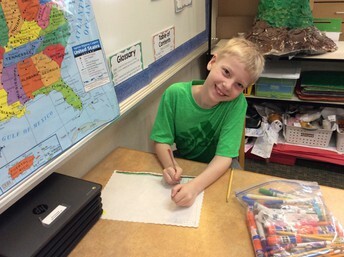 If you would like to see into the art room at SGE please follow us on Twitter @SGEArtRoom144. 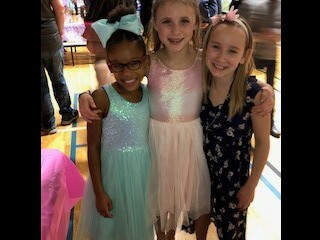 Our registration for Kindergarten Round-Up is now LIVE! 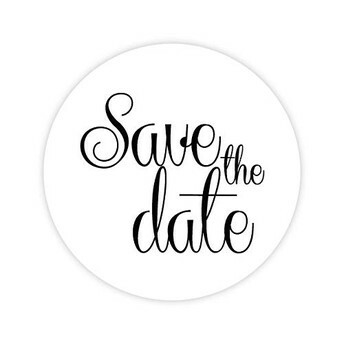 If you have a child who will be in Kindergarten next year, make sure to "Save the Date" for SGE's Kindergarten Round Up (KRU) on Thursday, April 11th, 2019.Then, be sure to sign up for a Kindergarten Round Up Session on our website (you may need to scroll down just a little to see the KRU link). 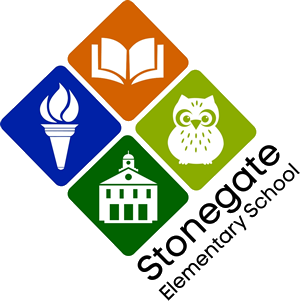 Please share this information with friends and family who have incoming kindergarten students that will be attending Stonegate next year. Thank you! Doing some spring cleaning and clearing out those closets? The clinic could use some gently used clothing donations. 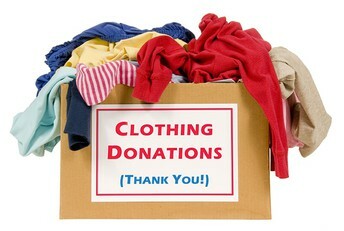 The biggest need is boys pants (size small), boys shirts (size large), and girls pants (size small). Any donation is accepted and always appreciated. 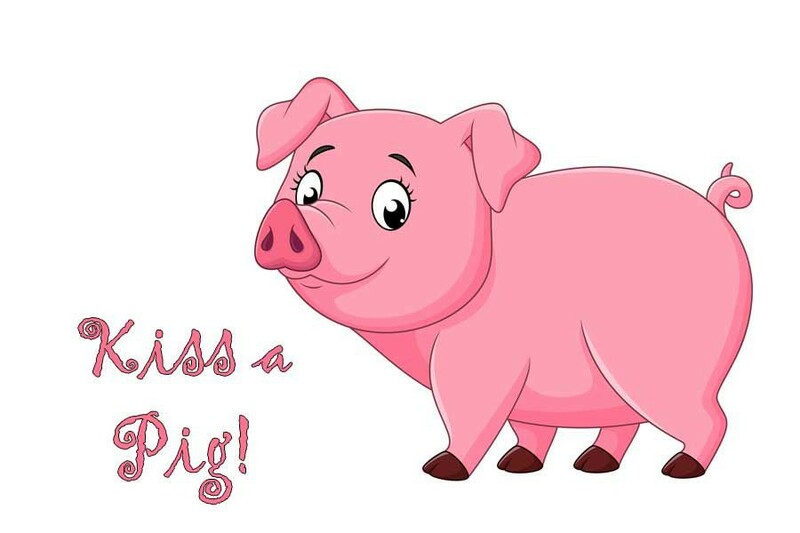 The Stonegate PTO is hosting a Kiss the Pig contest to benefit the Spring Grant given to SGE each year. Students can vote for their favorite person to kiss a REAL pig during a convocation this spring. Vote with coins or bills in the person's bucket that you would like to win! Buckets are located in the main entry and will also be out on March 23rd for the Spring Fling. 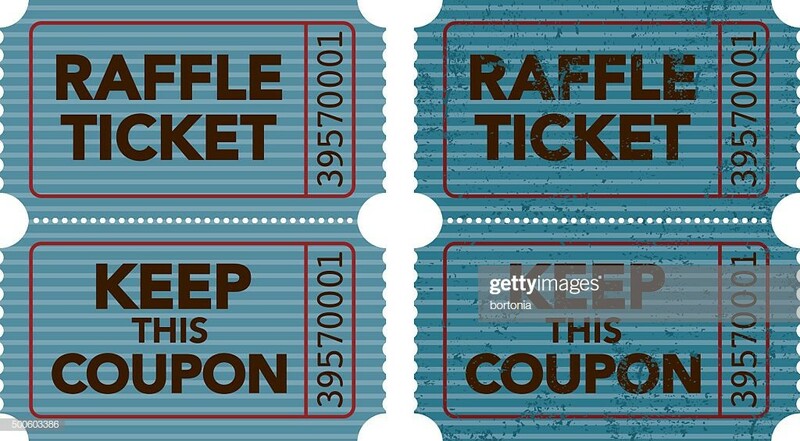 One of the many awesome things planned for the Spring Fling is the raffle! Special experiences with teachers and staff, community experiences, toys and business donated items will be available in the raffle! A complete list will be sent home on Monday for you to preview. 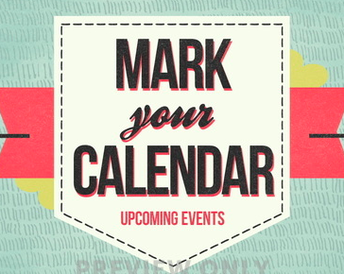 Can’t come to the event on Saturday? No worries! 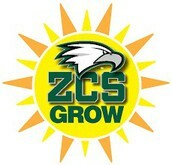 Your child can buy tickets and enter the raffle on Friday, March 22 from 7:45am to 9am. 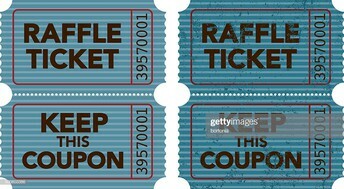 Raffle tickets are $5/ticket. Buy as many as you want for a chance to win lots of fun prizes! 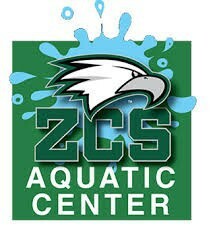 Hope to see everyone at the Spring Fling! 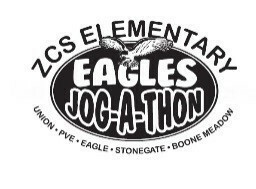 Planning for our 9th Annual Jog-A-Thon is well under way! 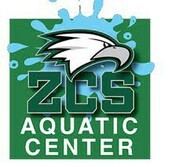 The event will take place on Wednesday, September 25th at each of Zionsville's five elementary schools. The planning committee is accepting bids for the production of more than 3000 Jog-A-Thon T-shirts. If interested, please email Melissa Waters at sgejat@gmail.com with notation that you would like the opportunity to bid. Upon receipt of your email, we will forward you a Request For Proposal. All emails of intent are due no later than April 5th. Thank you! The Jewish Community Relations Council (JCRC) and Jewish Federation of Greater Indianapolis (JFGI) have partnered with the Anne Frank Center for Mutual Respect (NYC) to bring to Indianapolis their exhibit, “Anne Frank: A History for Today.” The 32 panel exhibit will be displayed at ZCHS until the end of March in the lobby of our Performing Arts Center. 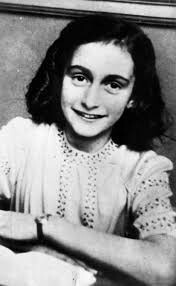 The panels tell the story of Anne Frank and her life in the secret annex. We are honored to have the opportunity to join the group of community centers, schools and universities, arts organizations, libraries and museums all around the world who have hosted this display. Community Schools is a 1:1 school district that encourages all students to Bring Your Own Device (BYOD). 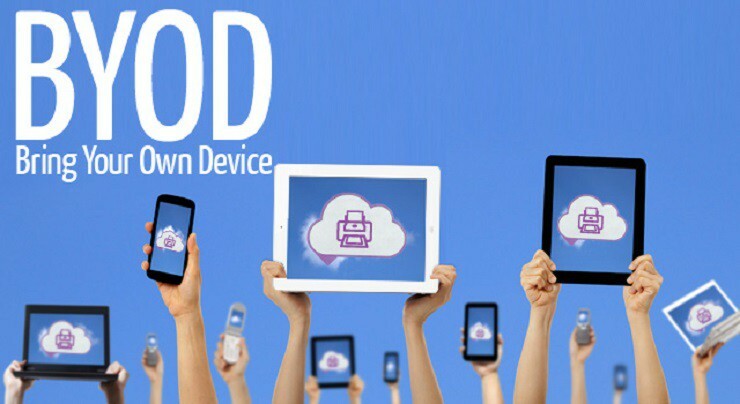 We do have rental machines available for $132.50 a year but 85% of the students actually bring a device they own. When purchasing a device, please keep the minimum requirements below in mind. The minimal changes made to the requirements are directly related to the software needed to run ILEARN testing and the ability to access our encrypted network for safety. One item to note is that the 19-20 school year will be the last year that Chromebooks will work in our system.  Windows 10, 8 or 8.1, no RT or Windows 10S. Please note that support for Windows 7 will end January 14, 2020.  Chrome OS 72 (Chromebooks not supported with Project Lead the Way applications) *19-20 is the last year Chromebooks will work for the 5-12 BYOD program.  Is there a warranty if the device is damaged? Can it be covered under homeowner's insurance? 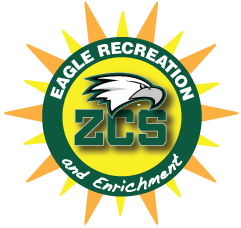  If a problem occurs with the device at home or at school, a loaner from ZCS is available for up to 10 days a year. 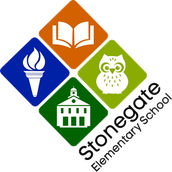  A list of required and suggested applications is available on the school website>under Parents>on the BYOD & Laptop Rental Program Link. o This includes information on how to access free downloads of Office 2016.
o Antivirus needed? At no cost, students can download the Avast or AVG as well. 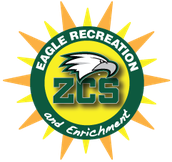 Although ZCS does not recommend a brand of laptop, if you have questions about a device you are considering, please email us at zcstech@zcs.k12.in.us.